After the horrors of the First World War the University looked for a lasting memorial to its dead. Principal and Vice-Chancellor Donald MacAlister explains in the preface to the Roll of Honour how the University decided to build the Memorial Chapel for the fallen. "After due deliberation it was agreed, with the consent of all, that their memory, and our gratitude for their devotion, should be associated with the place of our corporate worship, to the end that their example might be enduringly impressed upon Glasgow students in time to come." The Chapel is located in the centre of the west wing of the main University building. The design was the work of Sir John Burnet and recalls the early Gothic period to blend in with Sir George Gilbert Scott's main building. The figures of Scottish saints around the pulpit are the work of Walter Gilbert and the remaining wooden carvings were designed by Archibald Dawson. The windows were designed and made by Douglas Strachan. Various donations and gifts were made to the Chapel, helping to make it a place of beauty for worship and a worthy memorial the University's dead. "To the unfading memory of the brave men and women who in the Great War gave their lives for us and the freedom of the world, we dedicate this Memorial, and we pray that their names recorded here may ever be an incentive to faithful and unselfish service for all who look upon them." Tablets were added on the walls immediately to the East of the stalls, recording the names of the 432 members of the University who were then known to have given their lives in the Second World War. The Chapel continues to be the hub of worship within the University. It welcomes people of all religions and backgrounds and regularly holds multi-faith ceremonies to strengthen community ties. 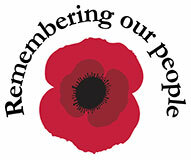 Daily and Sunday services are held during term time and a remembrance service is held every year. The names of the fallen form a backdrop to the altar, acting as a constant reminder to us all of the service done by those brave men and women. They will be forever remembered by their alma mater. For more information about the Chapel please visit the Chaplaincy website.